An interesting aspect of EVP is that the surrounding noises in the environment in which the recording was made will have an effect on the way the spirits’ voices sound. Although you can record in complete silence, it is much harder to hear them in the end result. What I have found was that noises in the background can amplify their voice. However the background noises will act like a kind of filter, a skin for how they will sound. I theorize that from where they are, on their plane of existence; their thoughts, a form of energy, and how they “speak”; affects the “membrane” of our reality. Our reality is like a veil that they can poke through, and sound is the most fundemental layer that they can penetrate. Often times, because I record in public places, the way P sounds can vary as a result. The following is an example, where he was telling a story to other spirits, but his voice on the recording was affected by surrounding sounds through out. It was at night, I was in her room. Then I touched her, When I first saw her, God told me, I saw her all the time. I could see her, she was me… Andrea spoke to me. I told her who I was to her. soul and remain connected. Separation from each other is an illusion. He has told me before that on the night that he died, he left his body, and found himself in my room. Looking back, that day when his passing was announced, I was in my room, sitting at my desk, listening to the news on the radio, clipping my nails, I could sense a presence in m room. I just did not know it was him in that moment. It was the feeling of being stared at when no one else is in the room. 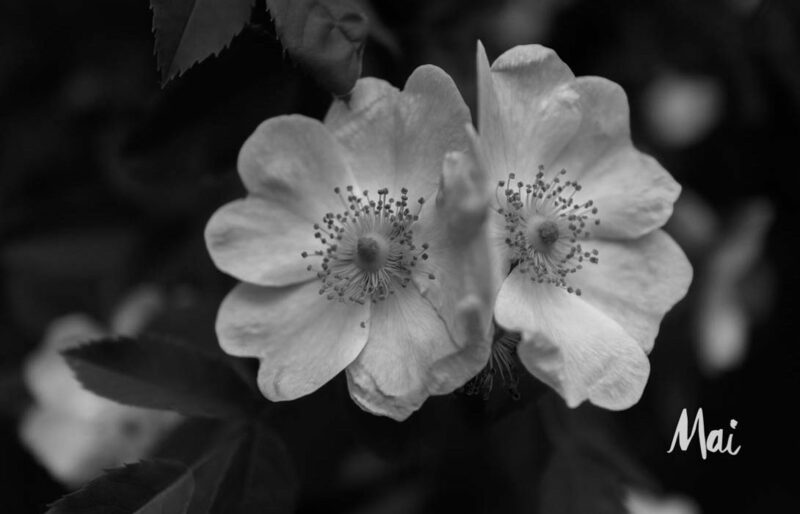 Image above: Twin blossoms”” by Andrea Mai.